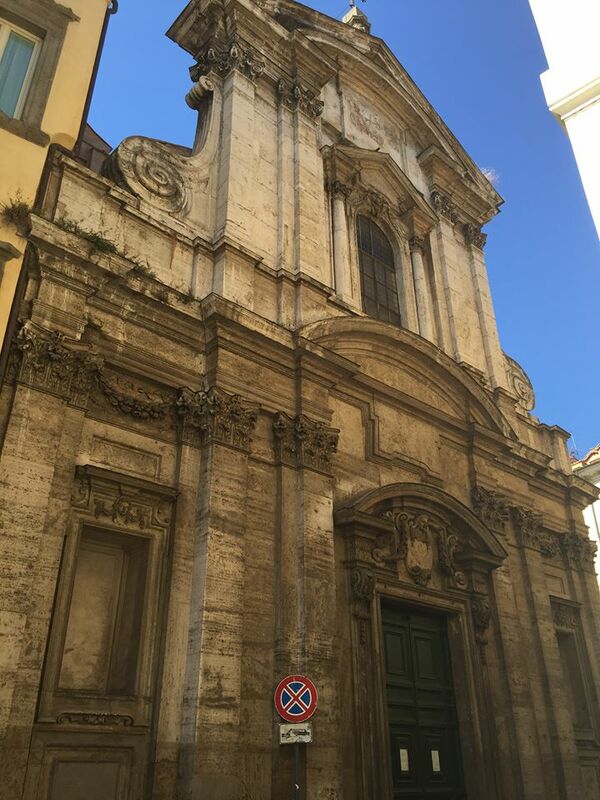 A short walk from the palaces of the Spada and Farnese is the 17th century church of San Girolamo della Carità. The church was dedicated to Saint Jerome and was supposedly built on the site of the house where he lived in Rome. The church doesn't seem to be often open, but if it is step inside the lavish Baroque interior to see the Spada Chapel, designed by Borromini. The chapel is breathtaking, decorated with two beautiful marble angels and the most exquisite and colourful marble patterned walls and flooring. Memorials of the Spada family interred in the chapel are numerous on the chapel walls. At the main altar is a copy of Domenichino's Last Communion of Saint Jermone by Anotonio Corsi. The original was looted by the French and when returned was it was place in the Vatican Pinacoteca.